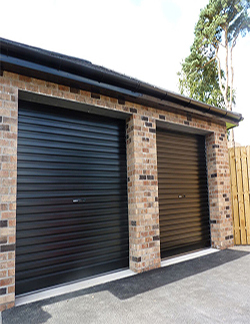 TiltAdor introduced the roller door to the UK and Ireland in 1983 and has been a manufacturer of roller garage doors ever since. 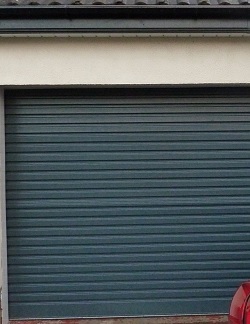 We continue our strong relationship with B&D Australia Pty Ltd who invented the Roll-A-Door roller door in 1956. 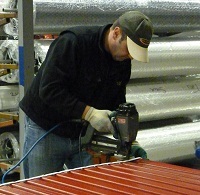 Our Roll-A-Door and RollOver garage door ranges are the result of a combined 80+ years of R&D. Our engineering experience and the added features that we include in our roller doors, ensure you are getting the best designed roller door in the market: it really does stand out from the competition. 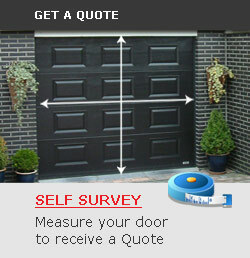 It may be “just a garage door” to you but look a little closer and you’ll see the difference is in the detail. 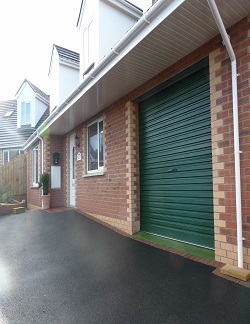 Our roller doors are installed behind the opening, maximising the drive-through width and height of your garage. 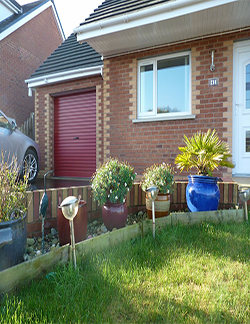 As long as you have enough sideroom inside the garage, there’s usually no need for a timber frame as our strong 44mm or 28mm aluminium guides are fixed directly to the brickwork. Simply push the door up and pull down again. 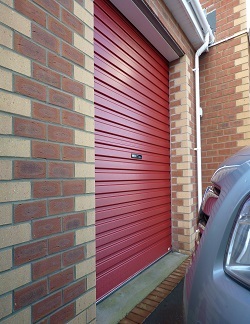 The door rolls vertically upwards and rolls easily up and down behind the head of the garage opening. 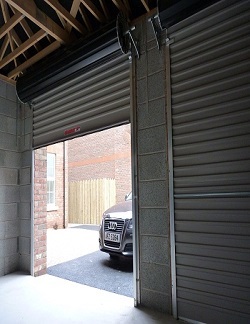 This gives you more clearance at each side as you drive in and out of the garage which is particularly beneficial for larger cars, 4x4s, vans, caravans and off-road vehicles. After all, we all know who expensive wing mirrors can be! 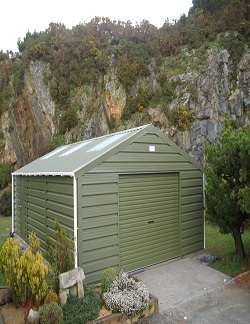 Low maintenance, hard wearing Plastisol or laminate finish. No cables, no external springs, no ceiling tracks. No greasing or oiling is required; simply wipe clean the guides. No out-swing – can park your car right up to the door. No ceiling tracks so you can make full use of the storage space. 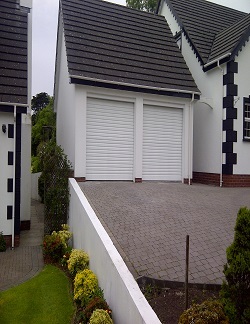 Fitted behind the opening to give you maximum opening width… can make all the difference if your garage is narrow. 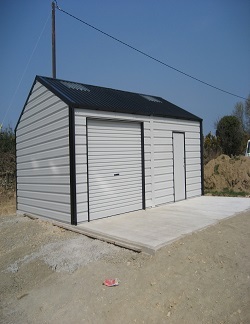 Full opening height if you have sufficient headroom – ideal for 4x4s or higher vehicles. 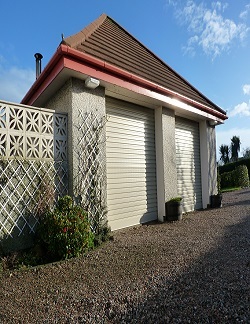 Made of galvanised steel with a Plastisol or Laminate finish, TiltAdor’s roller garage doors are great value for money and virtually maintenance free. Every door is made-to-measure and, with a stylish ribbed design and choice of colours, is certain to enhance the appearance of your home. 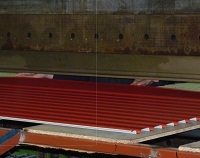 Unlike most other manufacturers, TiltAdor uses a press brake to form the ribbed curtain of the door. 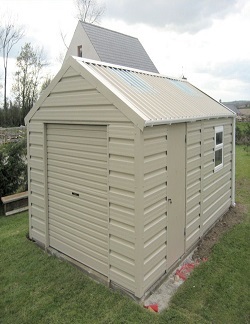 The deep pressed squareline profile gives extra strength, rigidity and an improved stylish appearance. 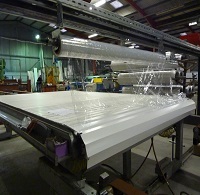 It reduces the deflection (or waviness) in the door curtain which can be particularly noticeable in roller doors that are made using a traditional roll-forming machine. 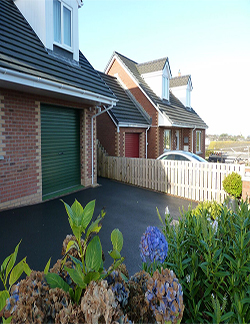 Every door is made-to-measure in our factory in Newtownards and, with a stylish ribbed design and a choice roller door colours, is certain to enhance the appearance of your home. 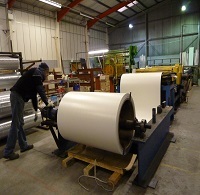 We manufacture our roller doors to suit openings up to 12’ wide x 10’ high. 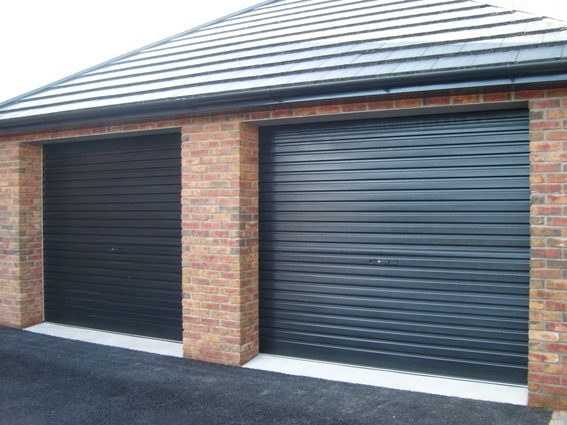 For residential doors over this size take a look at our ThermAdor Residential insulated sectional door or, for industrial doors, check out our ThermAdor Industrial sectional door range. 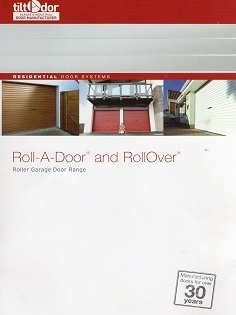 Check out the features & benefits of our roller garage door or click on the icon below to download our roller door brochure.